Did you know that, by the simple act of replacing sod with drought-tolerant native pollinator plants, you are helping to safeguard our food and water supplies, and reducing your carbon footprint? Sod requires our drinking water in order to stay green. It also requires herbicides and pesticides to achieve that “beautiful” suburban lawn look. If you replace the sod with native plants, you will reduce your garden’s water consumption, and protect water quality from chemical runoff. Butterflies are pollinators, of course, so you help safeguard our food supply which depends on butterflies and other pollinators. You reduce your carbon footprint by not having the “mow and blow” crews with their loud and polluting equipment. 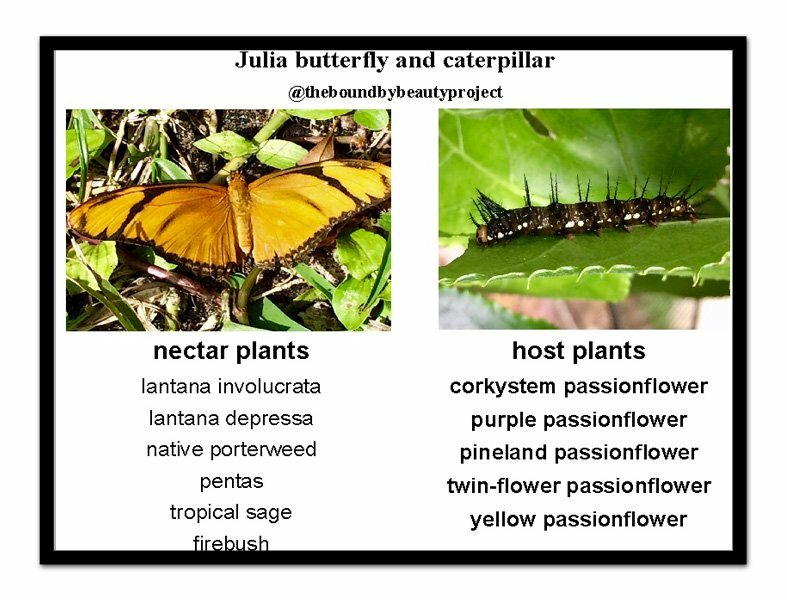 If safeguarding our food and water supplies isn’t enough to convince you, perhaps the fact that butterfly gardening in south Florida is a joyful experience will change your mind. There are over 80 species of these beautiful creatures that are either native to this area or are migratory visitors, and we are fortunate that our warm weather allows us to enjoy their beauty year-round. This page will serve as a guide to getting started, and we will provide links to valuable resources on the internet that can answer other questions you might have. To design a garden that will lure butterflies, you need to start with nectar plants. Filling your garden with flowers will make you happy too, so this is the win-win part of butterfly gardening. 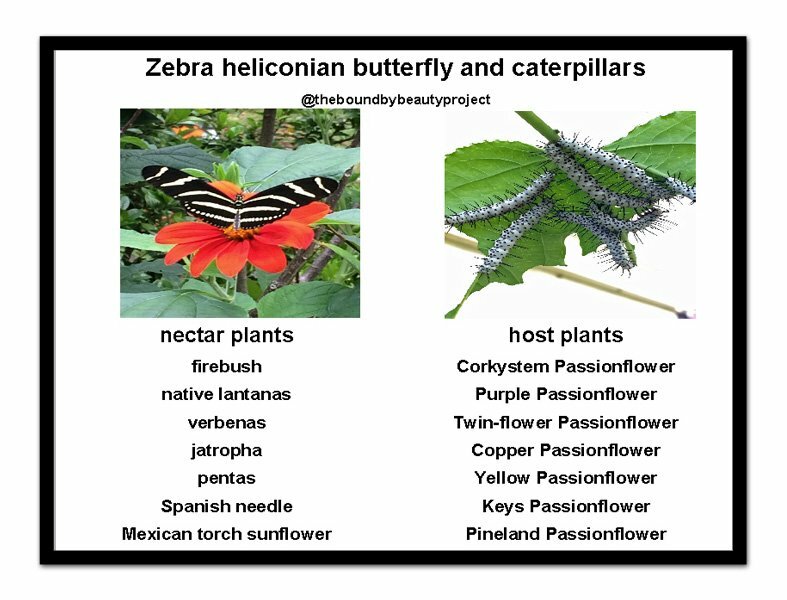 To attract our native butterflies, it is best to use native nectar plants, as the plants have evolved alongside the butterflies and can best fulfill their nectaring needs. 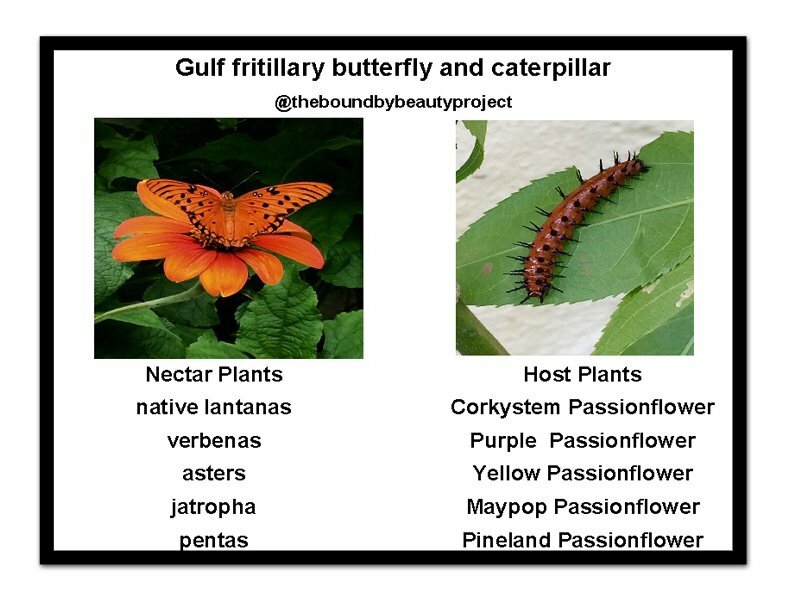 The Florida Native Plant Society (FNPS) has a wonderful website with a database searchable by region and use, such as for butterflies or birds (this site does not give detailed information to mobile devices, so it is best to use a PC). For example, for Miami-Dade County, click here. The local chapters for FNPS typically post information tailored for their specific area; you can find the closest chapter to you and a link to their website here. To find these plants, you often have to go to independent nurseries that specialize in native plants. Check the FNPS chapter closest to you for nursery information, or go to the Florida Association of Native Nurseries website to find which nurseries carry the plants you want here. 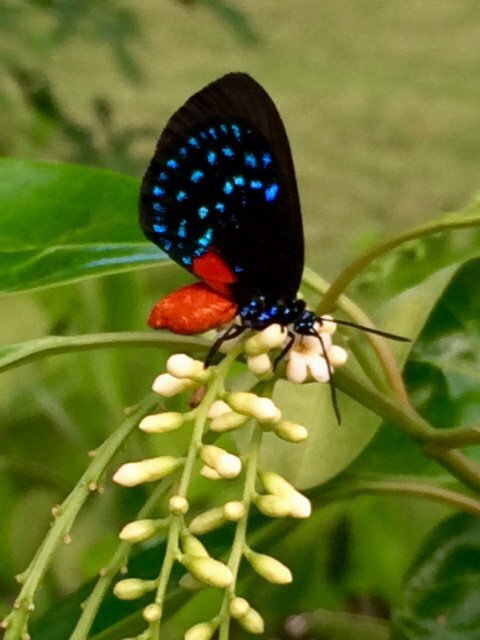 The beautiful and rare Atala butterfly is drinking the nectar of the fragrant flowers of the native fiddlewood tree. Butterflies, of course, will happily nectar on non-native flowering plants as well. You can find some nectar plants at local chain stores with garden shops, but you must be very careful to ensure that the plants have not been treated with a systemic pesticide called neonicotinoids. Home Depot, sadly, at this time sells a number of such plants, which many a happy homeowner has bought and planted without adequate investigation, and has, unwittingly, poisoned not only the butterflies, but the other pollinators who have sought out the plant’s nectar or pollen. You can read up on neonicotinoids here. Once you’ve provided food for adult butterflies, you can think about whether you want to see the entire life cycle of the butterfly unfold in your garden. Allowing butterflies to lay eggs in your garden will ensure that they have continued interest in what you have to offer and guarantee that you will almost always have at least a few butterflies at all times of the year. For many butterfly gardeners, the beauty of the butterflies themselves is surpassed by the awe you feel when witnessing the process of metamorphosis, which includes the egg, the various stages — or instars — of caterpillars, the pupa — or chrysalis — and, of course, the butterfly. It is an amazing experience to watch this metamorphosis take place in your garden; you will marvel at the miracle of a tiny egg that contains within it the entire genetic code needed for this miraculous transformation. 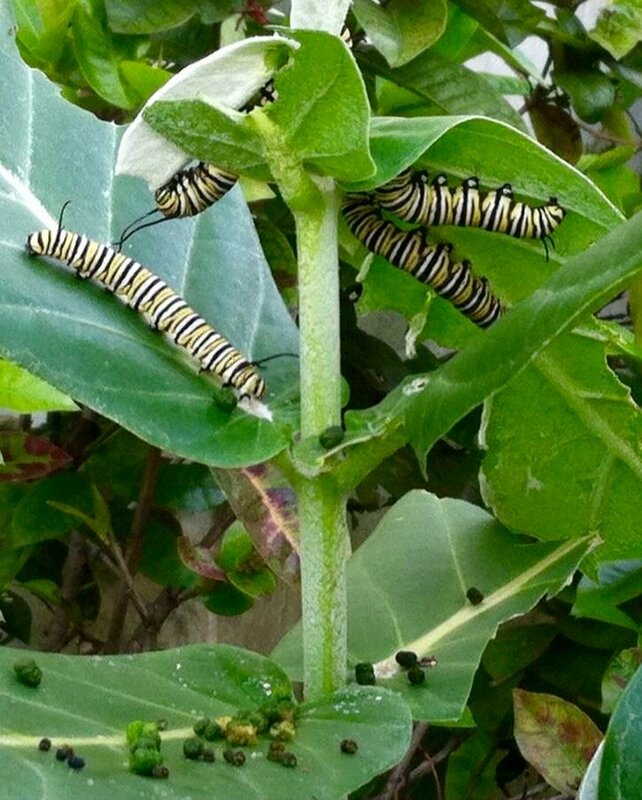 These Monarch caterpillars are chowing down on giant milkweed. They excrete a lot of frass when eating. If the idea of watching this transformation appeals to you, then the next step is to identify the butterflies you see in your garden and in your neighborhood. Butterflies use only one plant, or only a small number of related plants, to feed their young, and this information is generally well known and easily available. 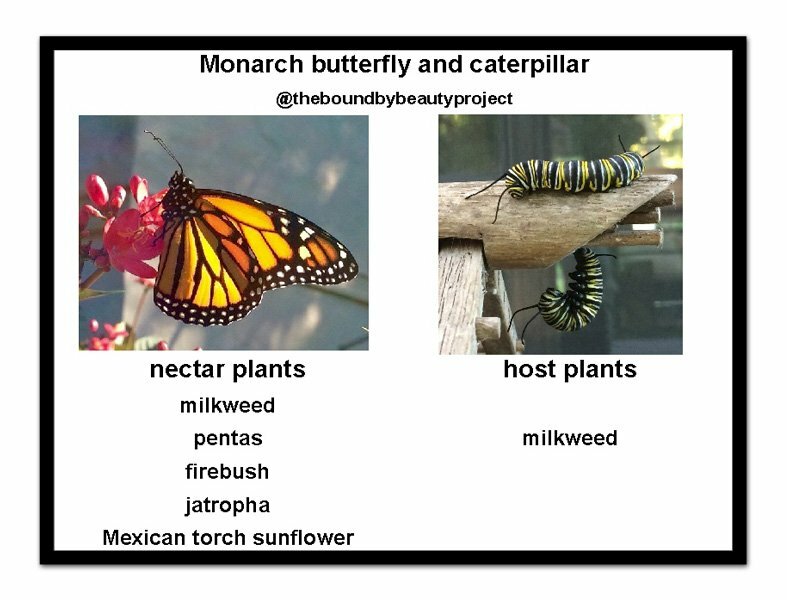 Knowing the butterfly, therefore, allows you to plant the right host plant. A host plant is what the butterfly’s offspring will want to eat, and therefore where the butterfly will lay its eggs. Some butterflies, like the Black Swallowtail, lay their eggs on a variety of plants, including parsley, dill and fennel, while other butterflies only lay their eggs on one specific host plant. 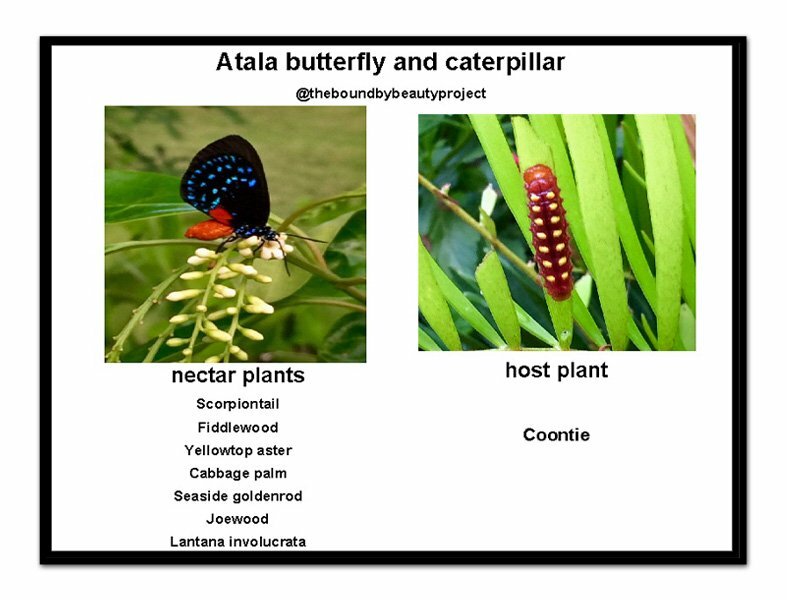 For example, the beautiful Atala butterfly deposits its eggs only on coontie, and Monarch butterflies only on milkweed. There is a handy laminated Butterflies of Southeast Florida guide, which you can find here. We recommend this guide as you can carry it around in the garden, it has clear pictures of the butterflies and their caterpillars, and it tells you what their hosts plants are. A list of host plants for Southeastern Florida is also available here. Although butterfly gardening opens one’s eyes and world in an exciting way, some people find there are downsides to inviting caterpillars in: these little creatures are eating machines! 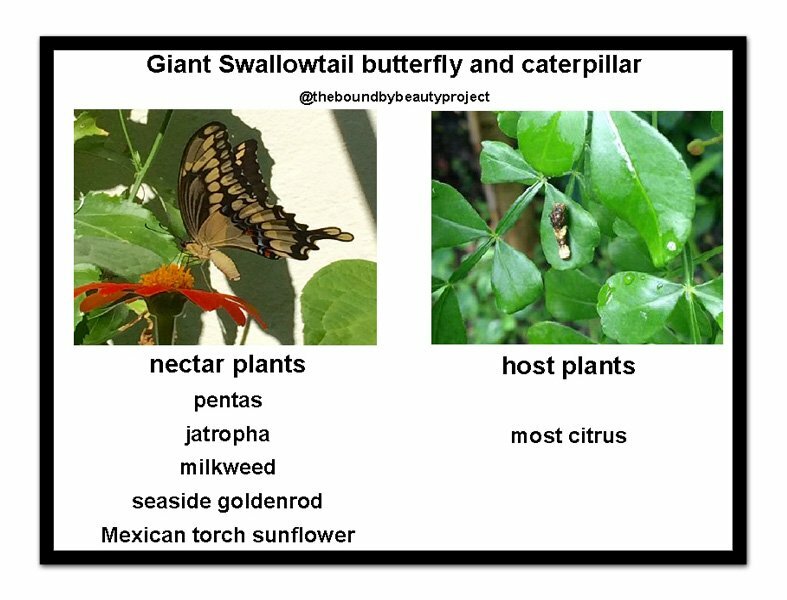 There are ways to mitigate the effect of a chewed-up garden by planting the host plants among or behind nectar plants or shrubs so the damage is less visible. There are plenty of resources on the internet that can give you more information. If you are a book lover, we highly recommend a small but useful book called Butterfly Gardening with Florida’s Native Plants, written by Craig Huegel. If you’d like to start from scratch and want to learn how to design your own garden, you can start here. However you decide to proceed, your world is about to get a lot more beautiful and interesting! And you will feel good about offering these beautiful and valuable creatures sanctuary and sustenance at a time when pollinators are under siege from climate change and over use of chemicals. Postcards to help guide your way. Take a photo of each with your smartphone, then you’ll always have the info handy when you happen upon a nursery. 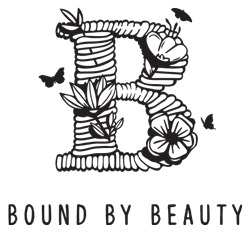 Copyright 2016 Bound by Beauty. All Rights Reserved.